Researching the career path you are about to take will help you learn and understand more about what being a massage therapist entails. Can you be patient or empathetic? Receiving a massage is a very intimate experience, so make sure you know what being a massage therapist means before embarking on a path that your heart isn’t completely sold on. To help discover more about the massage arts and if it is something you’d like to do, why not receive a massage yourself? While being massaged, you can ask the therapist plenty of questions about the profession and what it entails. Doing this will really help you get a feel for the career and is a great way to learn more about the art of massage. Now that you know you’d like a career as a massage therapist, it’s time to consider a speciality. Most therapists focus on one or more specialities, especially when they are first starting out. Learn about the different types of massage and think about whether there’s one that you are most interested in. Once you’ve determined this, you can start finding the appropriate training for the speciality. – The sports massage is designed towards healing muscles so athletes can perform at their physical best the next time they’re up and about. This can help athletes recover from recover during games of during everyday play. 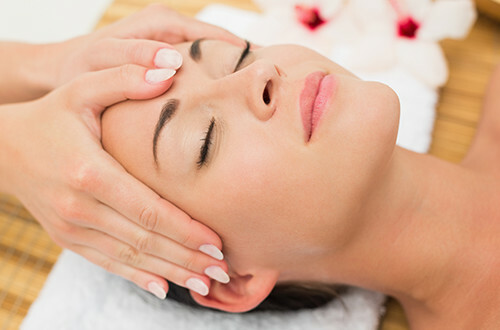 – Clinical massage is geared towards using massage to heal physical ailments. A good understanding of anatomy is usually required for this. – A Swedish massage is the most common type of massage and can be used for both healing and relaxation purposes. A deep tissue massage is similar, but more pressure is put into the muscles. Before booking into a therapy programme, it’s a good idea to understand what licensing requirements you’ll need in your career so that you know what training will qualify you to be licensed. This information is only a click away and is readily available for you to find online. Now that you know what you need, you can start booking! There are many massage schools that will offer the training and qualifications that you need to become a licensed massage therapist. To determine whether a school is right for you, see what they offer in terms of programmes and the qualification you’ll receive at the end of it. They are easily researchable online and you’ll be able to see if what types of massage they cater towards. Attending a school based near home will be inexpensive, and better than one you have to travel for. To gain certification, you’ll need to see the programme through to the end. Courses can vary in length, and how long it takes for you to complete the programme will depend on how many classes you take at one time and what your speciality is. Different programmes will determine whether you graduate with certification in a certain field or with a degree or diploma. So, how would you like to work? Massage therapists use to work for themselves, but now you have a whole variety of options. There are a growing number of salaried jobs at massage parlours, spas, hotels and other establishments, so finding work shouldn’t be too difficult. For example, did you know that Lush, the retailer best known for their creative, unique and large bath bombs, has a spa? Mind you, not every shop will have a spa on site, but most do and it could be worth keeping an eye out for any vacancies that might pop up. If you like to be your own boss, then starting a massage business could be the right choice for you. It can be difficult to get clients at first, which is why some people prefer to start off in a spa or hotel so that they can at least keep practising until they have a good sized list of clients. Setting up a massage business is similar to setting up other small types of business. First of all, you will need to pick a business name and get it registered. You’ll also need to get insurance. Research thoroughly to make sure you have the correct one; it’s for your own protection as well as your clients. For more information, the FHT offer a fair number of insurance policies which are tailor-made to your needs. If you’re running your own business, you’ll need to set up the space. Make sure it is extremely clean as well as comfortable, welcoming and warm. Purchase the correct equipment and furnishing for the type of massages you’ll be offering. Create a relaxing atmosphere that anyone can feel at home in and maybe offer a changing room and a place for clients to store their belongings during the session. To maximise the chances of successful marketing, you’ll want to find ways to set yourself apart from other massage therapists. Research your competitors. What is it about you and the business that makes you unique and appealing? Put yourself on the map by advertising in a local newspaper or ask to put up advertisements in local businesses. Business cards are also a really helpful tool; you can have them at the ready and give them out if someone asks about the business. Social media is a free marketing tool that is readily available to all that have a computer or mobile phone, so it seems a waste not to use it. Twitter, Facebook and Instagram are the key three, but there are others you may want to consider branching out to. Use social media to announce your opening, deals and other news you may have. Finally, provide excellent service! The best way to gain more clients (and to keep them coming back) is to do a brilliant job with all that come through the door. If you do this, people will start recommending you to their friends, and you’ll have a steady stream of clients before you know it! Sounds like a career as a massage therapist is for you? Check out the variety of programmes that we offer here at Brighton School of Massage and begin your career today! 7 steps to become an accredited massage therapist.